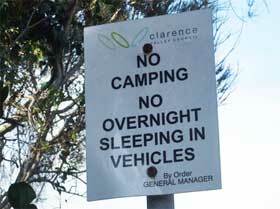 CLARENCE Valley Council in NSW is waging war on illegal camping after complaints from locals. 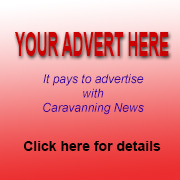 The local authority is now anxious to stamp out the usual spike in illegal camping between December and May each year as visitors flock into the region to enjoy the warm weather and its idyllic lifestyle. It is installing restricted parking signs and will be patrolling key areas over the holiday period in a trial designed to lessen the impact of illegal camping, particularly around the popular tourist towns of Yamba and Angourie. 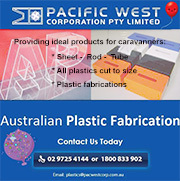 This includes camping in any moveable or temporary form of accommodation such as tents, caravans, motorhomes, vehicles, sleeping bags or swags. The council has warned of on-the-spot fines for anyone breaking the rules. General manager Ashley Lindsay said the community had asked the council for support and to help alleviate some of the impacts of illegal camping. "These visitors are highly valuable to the local economy, but they needed to comply with local camping regulations," he said. "The council encourages these visitors to come to the region and we want them to enjoy their stay, but it's important everyone looks after the natural environment and complies with local laws. "Breaches to these laws, particularly those relating to camping, waste and fire, can create undesirable impacts to the wider community including noise, litter, safety, environmental and health risks." Parking restrictions will be enforced between 12.30am and 5.30am and signs are being erected at Angourie Point, Green Point, Blue Pools, Spooky's beach, Turners beach, Ocean St, Convent beach, Pacific Parade and Pippi beach car parks. Mr Lindsay said the council would also ensure rangers patrolled the areas and advise illegal campers they needed to find an alternative location. 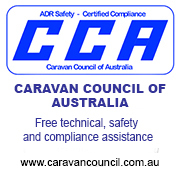 They will also be encouraged to book into established camping grounds in the area. "Locals will also need to be aware of these new parking restrictions as there is no way of distinguishing between a local vehicles and a visitor's," he said. "Whether the car is occupied or not, if it is found parked in these areas between 12.30am and 5am they potentially face a fine." The council's tourism department has designed The Clarence Valley Guide to Happy Camping, a detailed guide and map showing 52 free and fee-based campsite locations across the Clarence Valley. 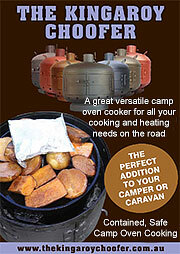 It is available for download online and printed brochures will be distributed by the rangers to illegal campers. The guides will be available at Maclean and Grafton customer service centres, Clarence Valley holiday parks and visitor information portals across the region. Mr Lindsay said visitors had access to all the information they needed to avoid on-the-spot fines and to keep the Clarence Valley beautiful for generations to come.